Living a Fit and Full Life: Find Out Just How Great and Big God Really is in My Great Big God by Andy Holmes! Find Out Just How Great and Big God Really is in My Great Big God by Andy Holmes! Find Out Just How Great and Big God Really is in My Great Big God by Andy Holmes! My Great Big God by Andy Holmes is a new favorite in our house. My kids love listening to bible stories so this book is right up their alley. 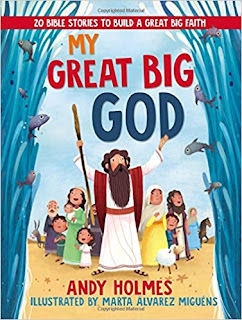 My Great Big God takes children on a special journey through 20 of the most loved and known stories in the Bible that illustrate the character of God. My kids love the illustrations throughout and I often find them flipping through the book just to look at the illustrations. I also love that My Great Big God by Andy Holmes is told in adorable rhymes and ends with a fresh takeaway that even the youngest child will understand. 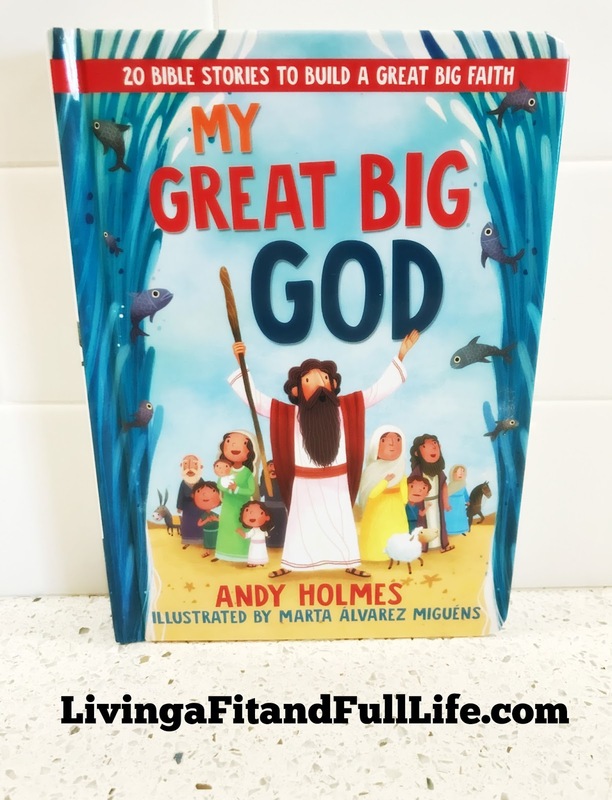 My Great Big God by Andy Holmes is the perfect way to help kids settle in for the night and has quickly become a favorite in our house! You can find My Great Big God: 20 Bible Stories to Build a Great Big Faith by Andy Holmes on Amazon, Barnes and Noble and other bookstores.